Anecdotes of 21 towns and villages on the A30, the Great South-west road from London to the very tip of Cornwall. Places mentioned include Basingstoke, Salisbury, East Coker, Cricket St. Thomas, Dozmary Pool, Temple, Summercourt etc. 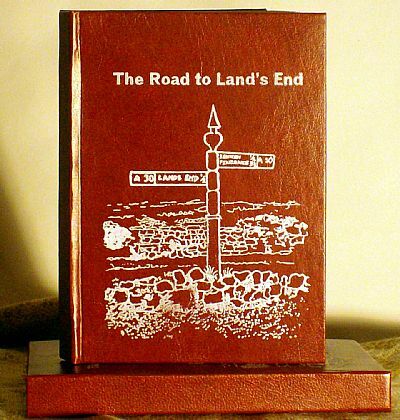 The text is letterpress printed and the book is illustrated with silk-screen prints printed in ochre, by Peter Grant. Limited edition of 30 copies. Size 150 x 110 mm. 48 pages.